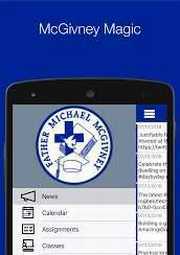 Download the McGivney Magic App (available for iphone or android) for up-to-date info on events and activities at McGivney. The app contains the student handbook, calendar, and other features for students to access. Info will be sent home soon to parents with login information. Stay tuned….